The first round of March Madness starts tomorrow, so you’ve got one more day to fill out your bracket. And we found stats on which states are filling out the most this year. #1 is Kentucky, where 31% of residents planned to fill out a bracket, or bet on the tournament this year. Utah is next at 26% . . . then Kansas, 25% . . . and Colorado and Nebraska at 24% each. The states with the fewest number of people who care are New Mexico, Mississippi, Louisiana, Vermont, and Maine. 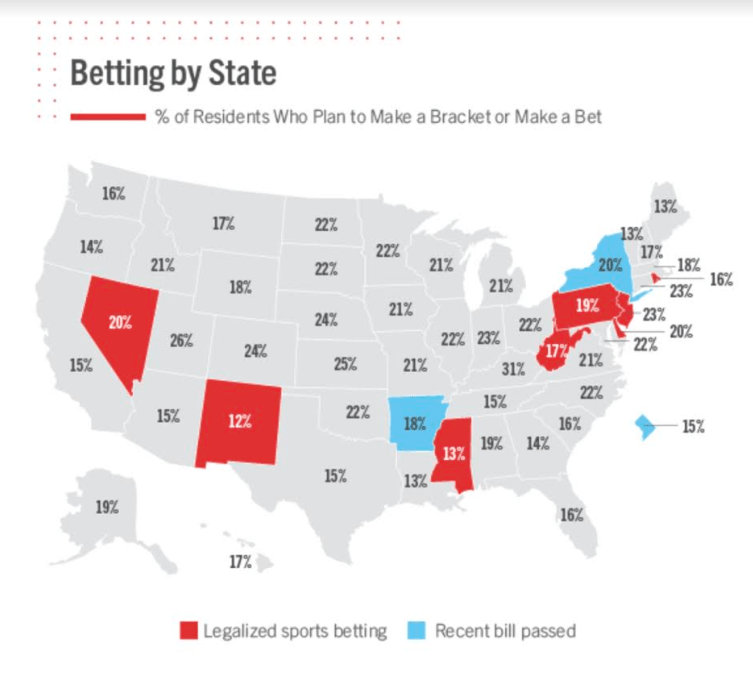 Only 12 or 13% of people in those states plan to bet on games. Most of the other states are right around the national average of 19%.